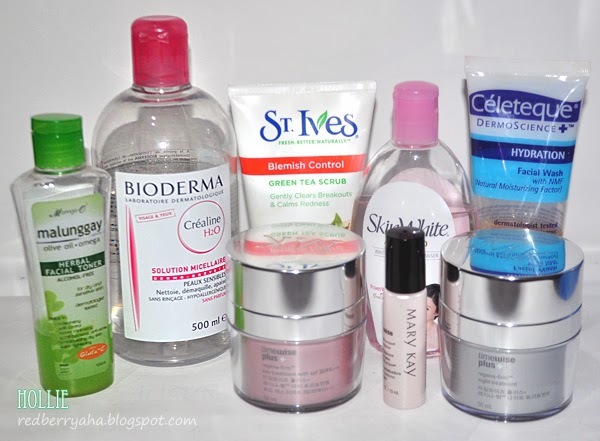 Hey ladies, this time around I'm going to share with you my current skin care routine. It hasn't been that long since I started this regiment on my skin since I am really not much of a skin care expert. hehe. I am now 29 and I feel like I need to start finding a proper skin care routine that would improve and make my skin healthy again. Remove Makeup. The first step to cleansing my face is using makeup removers to properly remover all makeup that I applied on my face. 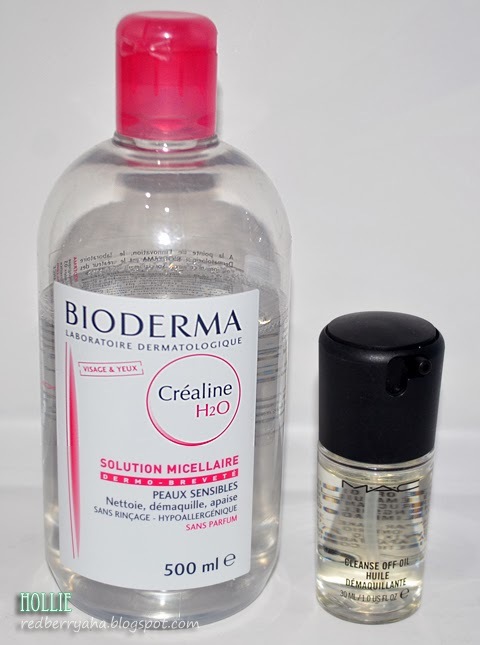 The first product I reach out for the my Bioderma Crealine H20 Solution Micellaire. I love using this to remove my makeup because it is very mild and it is water based. and it generally removes waterproof mascara too except for those with stubborn formulations. If I use a super budge proof waterproof mascara, or a heavy stained lip product, I use the MAC Cleanse Off Oil to remove it. Cleanse Face. I then wash my face using my all time favorite Celeque Hydration Facial Wash to remove traces of product left by makeup removers. 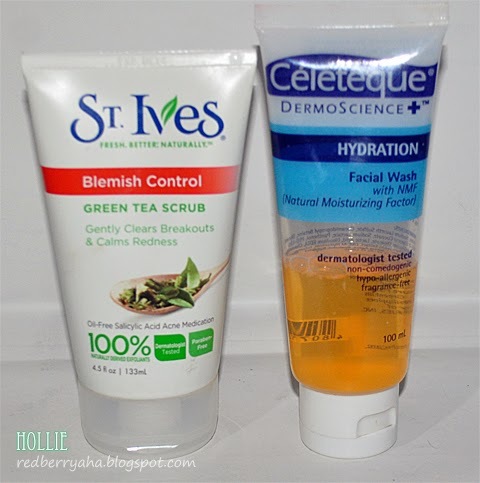 I use the St. Ives Blemish Control Green Tea Scrub about 3 times a week, as it is not advisable to exfoliate everyday. Tone. 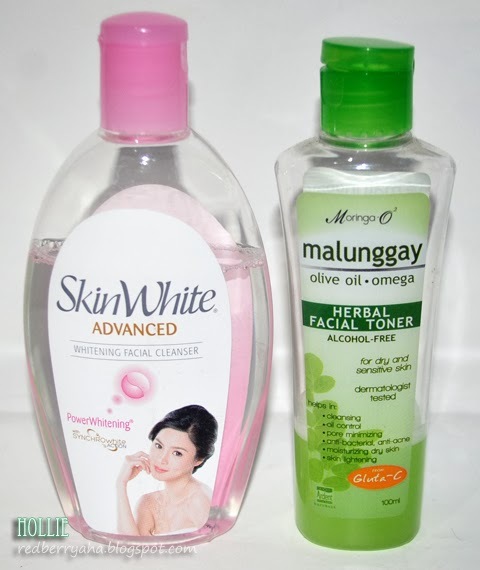 Once I am done with washing my face and neck, I apply Moringa O2 Herbal Facial Toner to the rest of my face. After reading a lot of skin care articles, I learned that it is better to use an Alcohol-Free toner so as not to strip the natural oils on my face. I then apply the SkinWhite Advanced Whitening Facial Toner to my neck area only since I need to lighten it. Moisturize. The last step to my routine is to moisturize. I use the Mary Kay Timewise Plus Regena-Firm Night Treatment all over my face and neck then followed by the Mary Kay Timewise Targeted-Action Eye Revitalizer on my undereye area at night. During the day, I still cleanse and tone. I then apply the Mary Kay Timewise Targeted-Action Eye Revitalizer on my undereye area, followed Mary Kay Timewise Plus Regena-Firm Day Treatment with SPF30/PA+++ and let it soak into my skin for a good 10 minutes before I start to apply my everyday makeup. 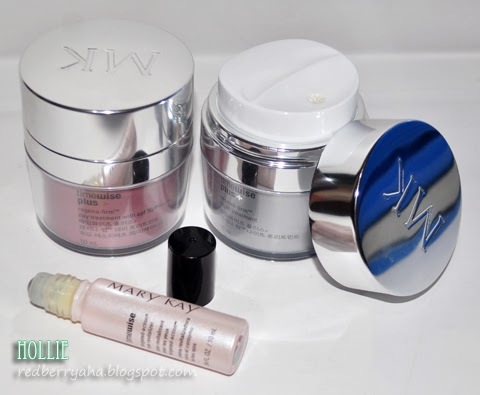 I will be posting detailed reviews soon for the Mary Kay products I used, so that you'd see a comparison before I started using these products. By the way, If you noticed I didn't included makeup remover wipes in this post, because I recently stopped using them. I find that removing makeup with cotton is less harsh on the face as compared to using makeup remover wipes. When using wipes, I tend to drag and stretch my face more which in turn causing to develop fine lines. Don't get me wrong, I still find makeup remover wipes to be convenient and much easier to use. It's just that I seldom use it now. I've read good reviews on St. Ives Green Tea Scrub and I want to try it for myself. How's it working for you? oh, the malunggay toner! is that good? Wow, great post, your blog is wonderful. Kisses from Spain.